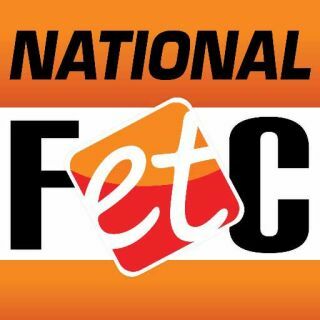 The National Future of Education Technology Conference (FETC) announced 29 exhibiting companies who will introduce a total of 32 new products at the 38th annual event, January 23 – 26, 2018 at the Orange County Convention Center in Orlando, Fla.
Afinia 3D will be introducing two new products at FETC. The first is the Dobot Magician 4-Axis Robotic Arm. The Dobot can manipulate objects, write and draw, and 3D print. It has a graphical programming environment, multiple tool heads, and the capability to work with the Arduino platform. The second new product is the new Emblaser 2 Laser Cutter-Engraver, featuring a large work area, fan-powered exhaust, and air-assist cutting, powered by a laser diode. Alive Studios will introduce their My Letters Alive Student Journals, which will help early learners master the 26 letters of the English alphabet. Bretford will be introducing Juice™ Mobile Power, which turns a single wall outlet into a flexible mobile charging solution, providing safe DC charging for an entire classroom. ByteSpeed will introduce the VR Cart which moves educational VR setups from one classroom to another without the hassle of a new setup and calibration of the learning space. Capit Learning will introduce their Chrome-enabled version of CAPIT Reading, which delivers a competency-based digital phonics curriculum, with actionable student data in literacy sub-skills. E4Effort is used to measure and report student effort in four categories. Students earn badges and "Effort Shares" that they track on their student portal. The E4Effort System supports PBIS and compliments standards-based grading. ELB Education will introduce two new products at FETC. The first is the Prowise Proline+ Series of interactive flat panels, which have 4K/UHD resolution, 20 points of touch, a built-in sound bar, new writing technology (ProWrite Ink), and an industry-leading seven-year warranty. The second new product is the Prowise rolling Asset Charge & Storage (rACS) cart which provides a secure place to store and charge up to 36 Chromebooks or other personal devices. FuzePlay will introduce Zubi Flyer, a smart toy that combines physical play and online learning in a fun and simple way. iBenzer® will introduce Hexpact™, a Macbook® shield with the ability to dissipate the force of impact. Inquire will introduce Inquire IQ3, a multimedia recording and streaming management system designed to facilitate 504 meetings, disciplinary hearings, teacher and student evaluations, and more. LocknCharge will introduce the Putnam 16 Charging Station, designed in collaboration with Putnam City Schools in Oklahoma to support their digital learning initiatives. Nutri-Link Technologies will introduce Curb-Smart, a solution to make the daily pick-up process easier, less frustrating, and more secure for schools. Orange Neurosciences will introduce ReadON, a SaaS-based cognitive platform for people with Learning Differences (PwLD) and Dyslexia. Padcaster will introduce the brand new Padcaster Verse, a universal smartphone mount, designed to adjust for any smartphone. PASCO will introduce two new products at FETC. The first is the Wireless Colorimeter with Turbidity Sensor, the latest addition to PASCO’s affordable wireless sensor line. It measures absorbance and transmittance at 6 different wavelengths (ROYGBV) and measures the concentration of a solution. The second new product is the Wireless Weather Sensor with GPS, an all-in-one instrument with up to 17 different measurements for investigating environmental conditions. PikMyKid will introduce SAFER (School Alarm For Emergency Response) a smartphone application, that can be activated by any teacher, staff member, or the administration. All individuals in the group are instantly notified and proper protocols are pushed to every member’s device. Promethean will be introducing a new product that will be unveiled today. Root will introduce its educational robot,which allows coders of any age or skill level to use Root as their creative tool to draw artwork, scan creations, play music, respond to touch and color, or use its other abilities, such as climbing walls. Scantron will introduce Ascensus, which provides a modern approach to digital assessment designed for the era of ESSA. Ascensus includes innovative item types, interactive student tools, accommodations for students with special needs, collaborative test development, modernized item banking, and increased test security options. SilverShield will introduce its visitor management system. Key features include: instant sexual offender check, optional criminal background check, lockdown system with 911 silent alarm, customizable watch list, ID badges, and virtual academy. SMART Technologies will introduce the new 86” SMART Board® 7000 series. This is the company’s flagship model and the only interactive display in education that supports simultaneous multi-user collaboration. Tech Defenders will introduce eduDEVICES, a service that allows schools to purchase refurbished devices (including Chromebooks, MacBooks, and more) in bulk for an affordable price. Texthelp will introduce EquatIO®, a software solution that enables students to create digital equations, formulas, and more on their computer. This new tool is free for teachers to use. TippyTalk will be introducing a new product that will be unveiled today. Tools4Ever will introduce ERAM, which provides insight into unstructured data and Active Directory group memberships. ERAM clearly shows who has access and how they obtained it, who should have access, who owns the data, who has tried to access it, and where sensitive information is stored. VS America will introduce the TriUnion Table, available in three heights (34 5/8, 41 3Ž4, 47 1Ž4 inches). The stand-at table is light and easy to move. Weird Enough Productions will introduce Get Media L.I.T., which uses superheroes and comic books to teach students how to combat fake news. Wibbu will introduce Ruby Rei: School Edition, an immersive ELL experience that exposes students to learning through engaging stories, exciting gameplay, and instructional activities. Zyrobotics will introduce STEM Storiez – Robot Play, an interactive book that exposes children to the amazing world of robots. .
Attendees to the conference can learn about more new technologies by visiting the Startup Pavilion, located in the Expo Hall, where they can discover emerging companies, demo original products, and meet the entrepreneurs whose innovation is changing the marketplace. Educators can also attend the FETC Pitchfest competition, where the best-of-the-best startups nominated by industry accelerators will present their products and solutions. For additional information and to register, visit fetc.org/register or call toll-free 1-800-727-1227. Learn more at www.fetc.org/expo.